Chartered aircraft are a popular alternative to commercial air travel for businesses and large groups. The executive-style travel afforded to the charter plane commuters offers all of the amenities of private jet ownership at a fraction of the cost. These planes, however, are not exempt from the prospect of dangerous airplane crashes. Over the past several years, many high-profile charter plane crashes have been in the news. Whether the contributing factors are inexperienced operators, lax regulations, or dangerous weather conditions, charter plane accidents are every bit as likely and deadly as commercial airline accidents. The exact cause of any particular charter plane crash can vary. Weather conditions can make flight difficult. Inexperienced operators can make the wrong decisions. Components can fail, leading to disastrous results. Many charter planes do not have the black boxes that are now standard on jetliners, leading to confusion and necessitating long, intensive investigations to reconstruct the accidents. While the law allows victims and deceased victims’ families to sue for damages related to charter plane crashes, the road is not always an easy one. Many different parties, from the plane’s manufacturer to air traffic controllers to the pilot to his or her licensing institution or flight school, can be involved along with airports and insurance companies. The plaintiff bringing the case has a heavy burden to prove his or her claims using convincing evidence gathered during an investigation. This complex legal burden requires experience and confidence to get right. And the law firm handling a charter plane crash case must have exacting standards of professionalism in addition to a strong track record with similar claims. At Panish Shea & Boyle, our Los Angeles chartered plane accident attorneys fight for personal injury victims from start to finish, leading your case from investigation to resolution with professionalism and compassion. 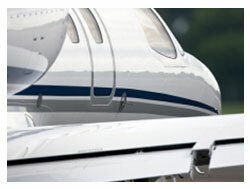 Have you been injured or lost a love one in a charter plane crash or private plane accident? Contact Panish Shea & Boyle LLP, the law firm that gets results for personal injury victims nationwide. Call today at 877.800.1700. Your consultation is free and completely confidential. Wrongful death in a charter jet crash in Aspen. This was the only case from the crash to go to trial. Brian Panish and Kevin Boyle tried the case and the jury found that punitive damages were warranted. The case settled for a confidential amount before the punitive damages phase of the trial. Wrongful death in a high profile charter plane crash that occurred overseas.